PS. Another unusual fat bomb flavor to consider is matcha tea. 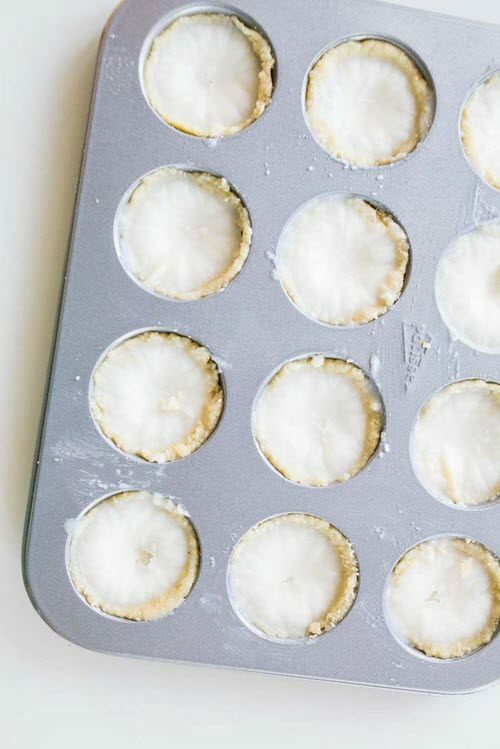 This ingredient doesn’t just make fat bombs taste interesting. It offers health benefits too. PPS. Looking for something more conventional? What about peanut butter fat bombs? Deanna from theharvestskillet.com offers this fat bomb recipe. It's a fantastic idea, as raspberry and lemon do combine together so well. As Deanna mentions, the ingredients create an enjoyable balance of sweet and sour. Like most fat bombs, they can also be frozen and eaten straight from the freezer. 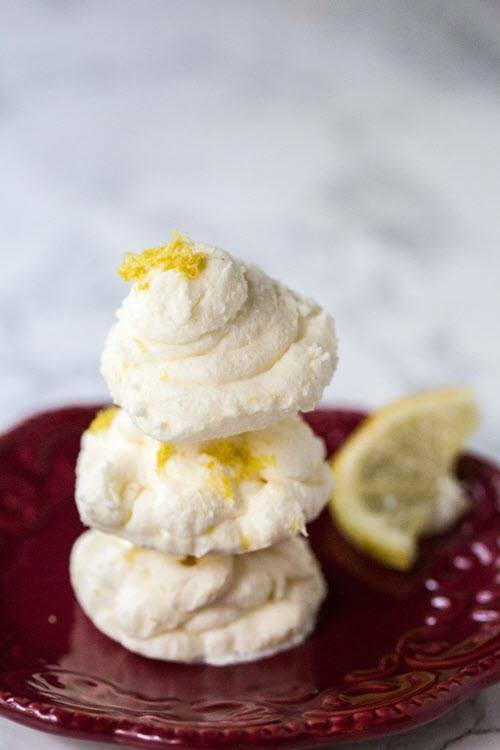 These lemon meringue fat bombs, from ketosummit.com, are a fun idea. They look simple enough in the image, but you're getting more than just a basic lemon fat bomb. Instead, the ingredients have been chosen to create the flavor of lemon meringue pie, without all of the carbs. This style always works well. Don’t be afraid to try it out for yourself. 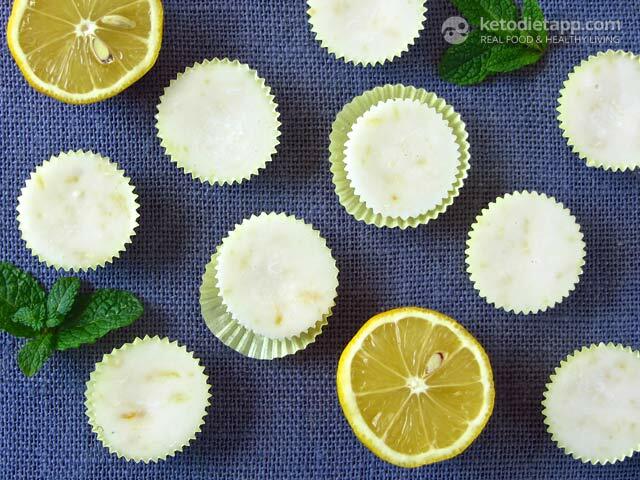 This recipe from ketodietapp.com is perfect if you want lemon to be the star flavor. The main other flavor in the recipe is coconut, which comes from coconut butter (this is different than creamed coconut milk). You can also tweak the flavor of the recipe by choosing between lemon extract and lemon zest. Each version will have a different impact on the final snack. I love the inclusion of poppy seeds in these fat bombs. The seeds help to make the treats a little more interesting while promoting health benefits too. The recipe comes from myketokitchen.com and is easy to create. Like most fat bombs, these will soften in a warm environment. It's best to keep them in the fridge or even the freezer. These fat bombs from kaseytrenum.com don't have a complex flavor profile, but they're still completely delicious. In fact, the focus on lemon alone is an entirely good thing. This style leads to a refreshing snack, one that is also easy to make. This is also a good place to get started with lemon fat bombs. It’s often best to get familiar with the basic flavor first before you start adding in other ingredients. 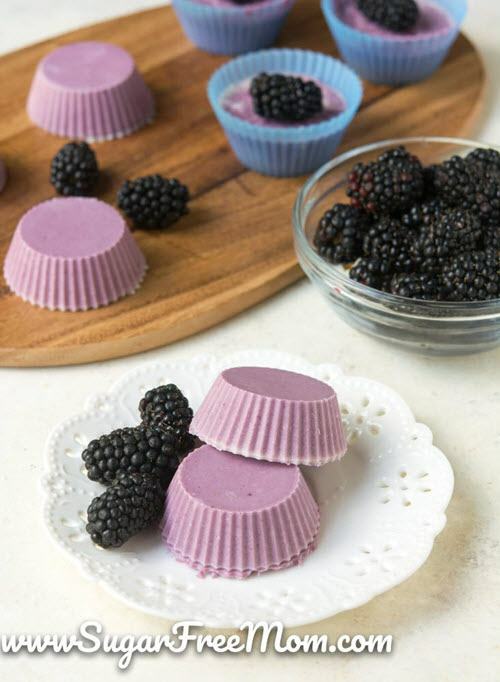 Another style to consider is these fat bombs, which have blackberry and coconut butter as the main flavors. 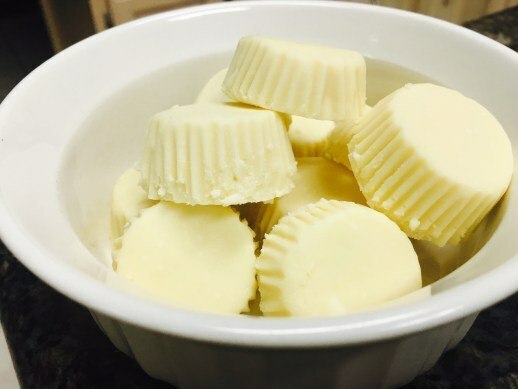 The recipe comes from sugarfreemom.com and the resulting fat bombs are also AIP-compliant and suitable for paleo dieters. It might seem odd to include blackberry fat bombs in this list, but the recipe does use lemon juice. 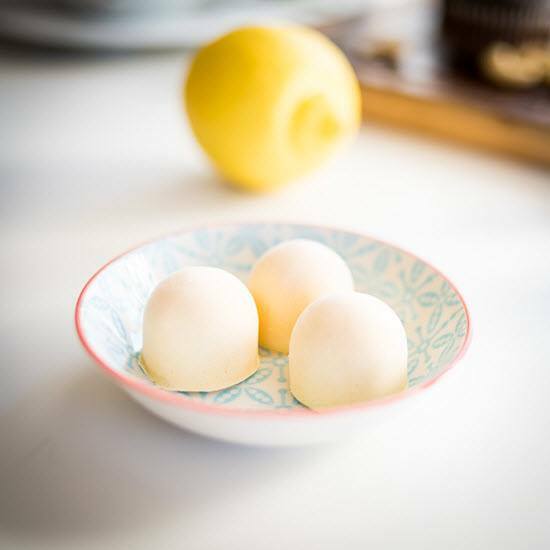 In this case, the lemon juice is used to add to the flavor, making the fat bombs more nuanced. It could be a great recipe if you like lemon but find that the flavor is often too dominant. 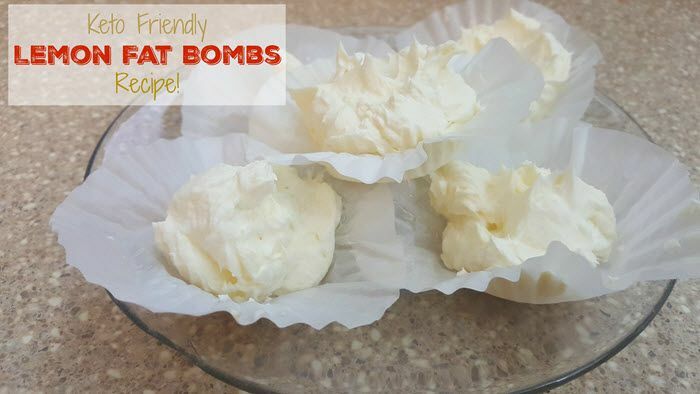 Lemon meringue fat bombs is a good name for this recipe, as the snacks do have a lemon meringue-like flavor. You're also using some interesting ingredients, which make the fat bombs distinctive. You can check out the full recipe at kristadabel.com to see what I mean. On a side note, this recipe also makes 24 fat bombs. That's more than most other recipes. It would be an amazing choice if you were preparing fat bombs for a party or if you just wanted a selection for your freezer. This fat bomb recipe comes from sareenasfood.com. It uses lemon and coconut as the main flavors – a combination that works perfectly. There is just one net carb per fat bomb. The recipe is also vegan, making it completely dairy free. Michelle from thermofoodieandthechef.com has developed this fat bomb recipe. Like many cheesecake fat bombs, it uses cream cheese to create a distinctive flavor. 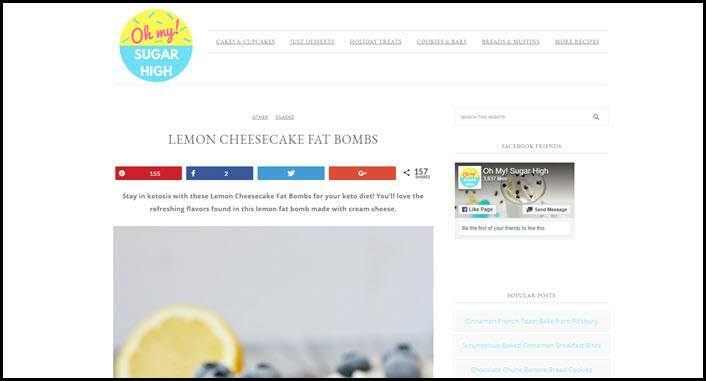 The fat bombs aren't really cheesecakes, of course, but there are still strong similarities. While you don't need love heart molds to make these, the shape does suit the recipe perfectly. Here's another recipe that follows the lemon cheesecake style. I'm not kidding, they even have the same name. This time, the recipe comes from ohmysugarhigh.com. It has a distinctive style, featuring two different layers. The finished snack really does look like a little cheesecake. There's just one thing to mention. The recipe uses honey as an ingredient. That's unusual for a fat bomb. The carbs are still low enough for a keto diet. Even so, you might want to swap the honey for a sugar free sweetener. Here's a recipe that uses lemon as a complementary flavor, rather than as the main part of the recipe. 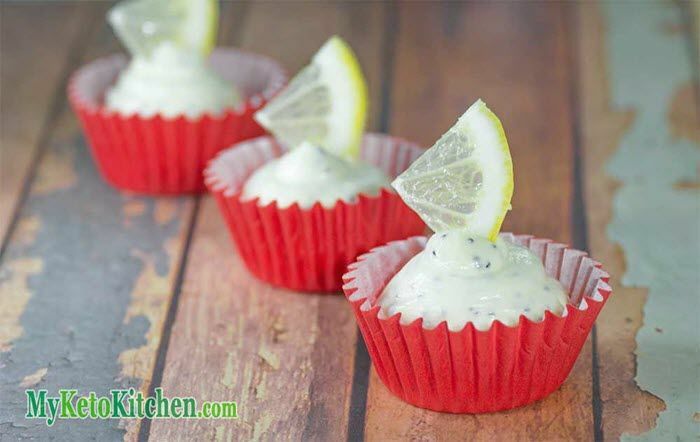 It comes from thedietchefs.com and features strawberries, cream cheese and lemon juice. Those three flavors complement each other well. These fat bombs aren't just unusual, they're also fantastic. As the name suggests, the recipe contains a variety of anti-inflammatory ingredients, including ginger and turmeric. The flavors of these pair well with the lemon to create some very interesting snacks. The style would be especially good if you wanted to boost your immune system or fight off a cold. 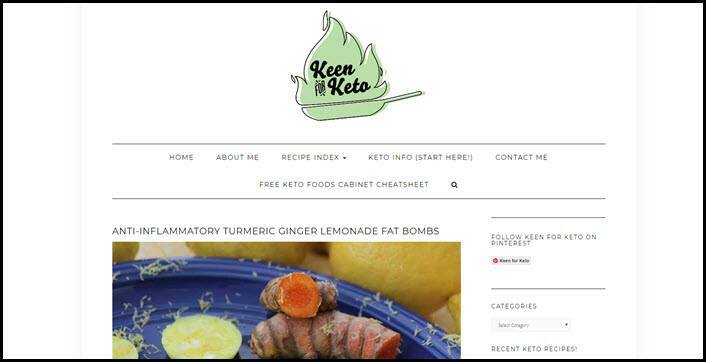 You can find all the details at keenforketo.com. 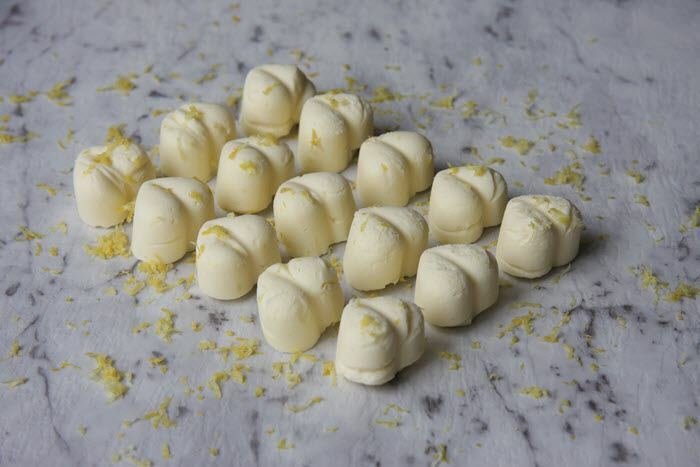 This recipe, from drberg.com, adds macadamia nuts into lemon fat bombs. The macadamia nuts provide some extra flavor and an interesting texture. They're also a great source of nutrients. As you can probably guess, you can make the fat bombs using whatever mold you like. Just be aware that you'll need to recalculate the macros if your molds are smaller. I love the appearance of these fat bombs. This is simply done by piping the mixture. It's a fun idea and makes these fat bombs a little bit different. You can find the ingredients and instructions over at asparkleofgenius.com. 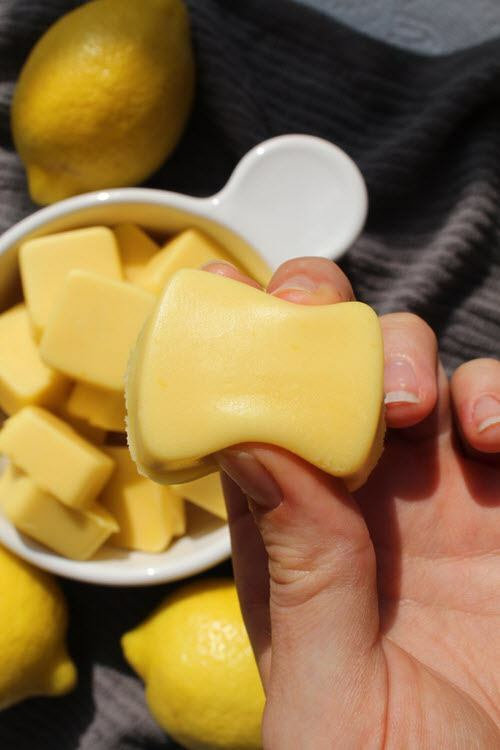 Lemon curd is a fantastic flavor in its own right, so including it in fat bombs just makes sense. This recipe, from livbreatheketo.com, doesn’t just rely on a slightly different flavor than normal. It also offers an unusual texture. The fat bombs end up being a little bit like gummies, which includes being squishy and smooth. That texture won't appeal to everyone, of course. Still, it's an interesting idea. Other fat bombs are very similar to one another. It's always nice to try something new. Don't be fooled with how basic this recipe from simplygoodfats.com looks. While the recipe does seem typical, it still offers a vibrant lemon flavor that tastes fantastic. The recipe also uses cashew butter and coconut butter, rather than one or the other. This choice helps to make the fat bombs a little more engaging, changing the final flavor. Here's another fun style to consider. The recipe comes from ketosummit.com and you're basically making mini lemon tarts. This even means the finished treats have their own crust, along with a fat bomb filling. You're getting a great combination of textures too. This type of fat bomb is fun if you plan to serve the snacks at a party or some other event. A keto egg fast is an interesting idea that is meant to offer benefits. Most fat bombs don't fit in with the requirements of the egg fast, but this recipe is an exception. 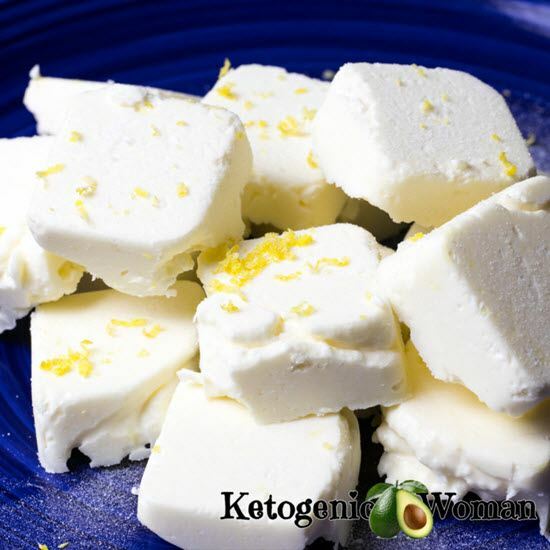 You can check out all the details at ketogenicwoman.com. The author also has links to information about the egg fast approach. There's even a printable recipe card for anyone who prefers reading offline. Don't these bliss balls look amazing? They come from the site madcreationshub.com and the presentation is just stunning. I love the way that the treats are rolled. This means that you don't need to rely on a silicon mold. Another cool thing is the variations. Most fat bomb recipes can be easily altered to suit the flavors that you enjoy. Megan provides information about three different versions that you could try out. Here's a recipe where lemon is an additional flavor, rather than the featured ingredient. 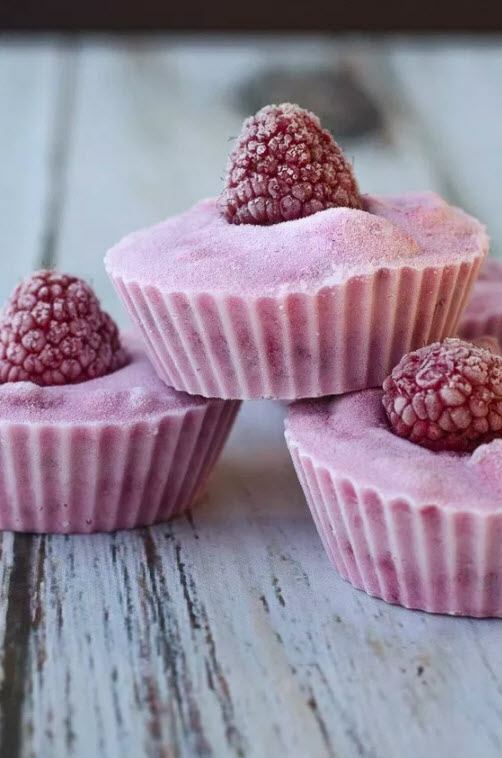 The fat bombs come from ketocookingchristian.com and they taste a little bit like blackberry cheesecake. They have a stunning color too. Another appealing aspect is the carb content. These fat bombs contain one net gram of carbs per serving. This is even more impressive than normal because there are two fat bombs in each serving. These cheesecake fat bombs come from eatwell101.com. They look like little truffles, especially with the shredded coconut on the outside. 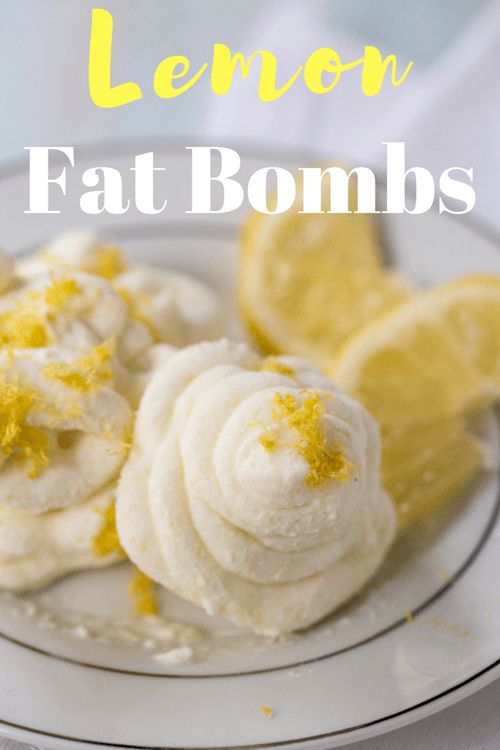 The fat bombs also include lemon zest, which helps to give them an extra special zing. Here's a simple fat bomb recipe that is exactly what it seems to be. The recipe is hosted at mysugarfreejourney.com. The visual appearance isn't as stunning as some of the other recipes, but honestly, that doesn't matter. The main feature of a recipe is the flavor, not the appearance. You could use a silicone mold to shape these in a specific way. This final recipe comes from createmindfully.com and they look a little different than normal. That's because these fat bombs are served in lemon peels. 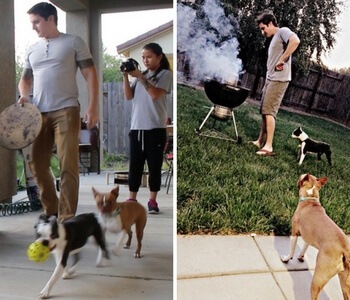 The idea is very cool. 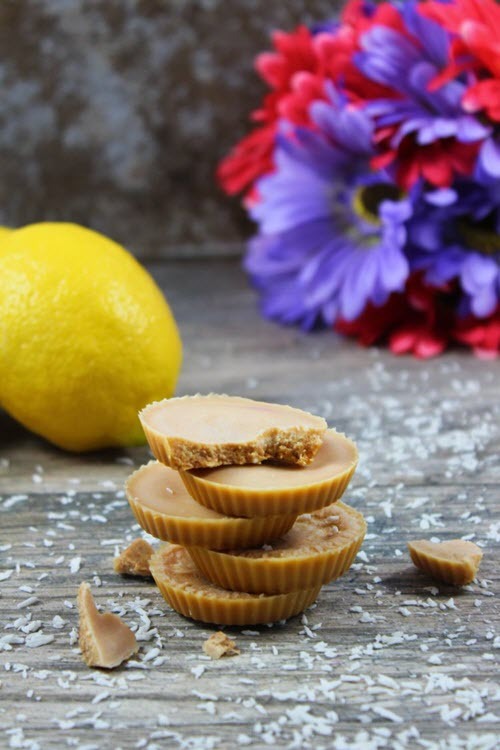 It helps promote the lemon flavor in the fat bombs and means you don't need cupcake liners or any specific molds.